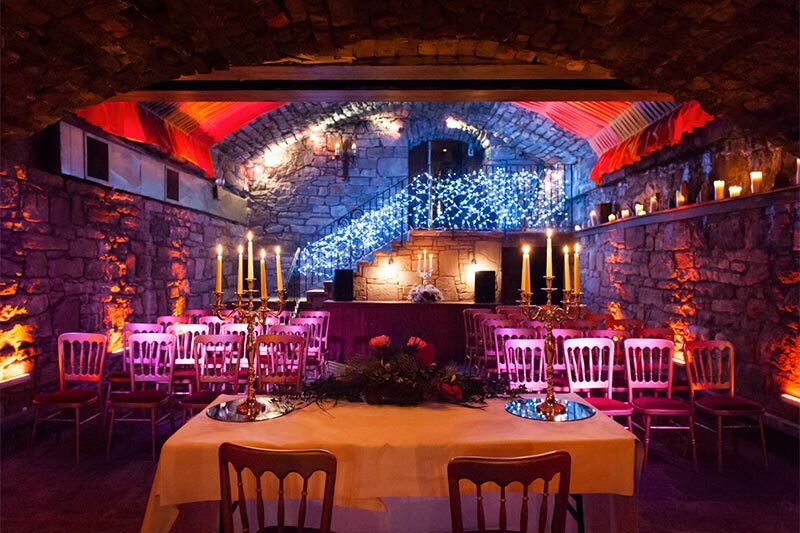 Marlins Wynd is part of the Unusual Venues of Edinburgh Group, and has to be one of the most unique wedding venues in Scotland. 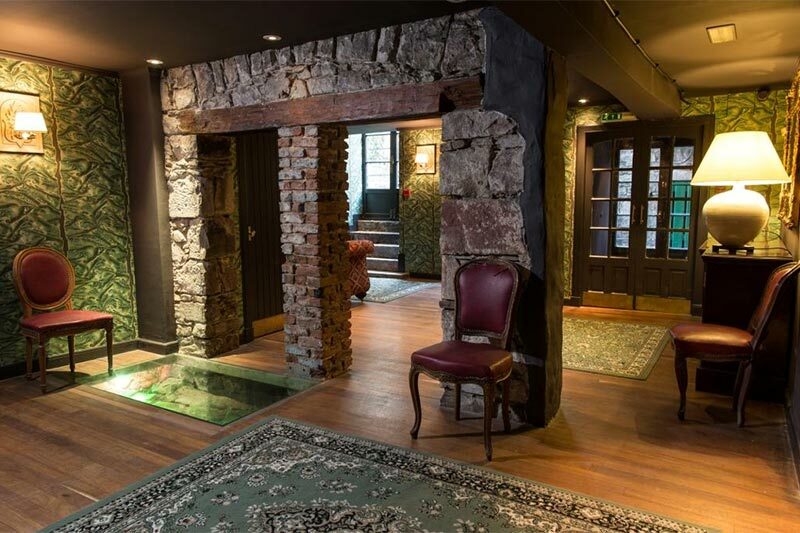 Located right in the heart of the Old Town, it combines a Georgian reception room with 16th century Vaults, both of which are steeped in history. In addition to this you will find first class catering, and enough space for a 120 person ceilidh. Let’s take a closer look at what a Marlins Wynd wedding would be like. 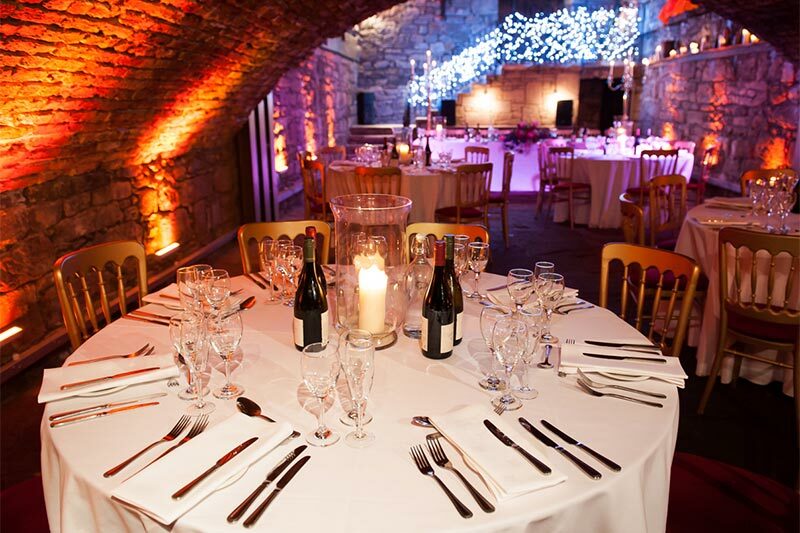 There are some fabulous wedding venues in Edinburgh, especially in and around the Old Town. 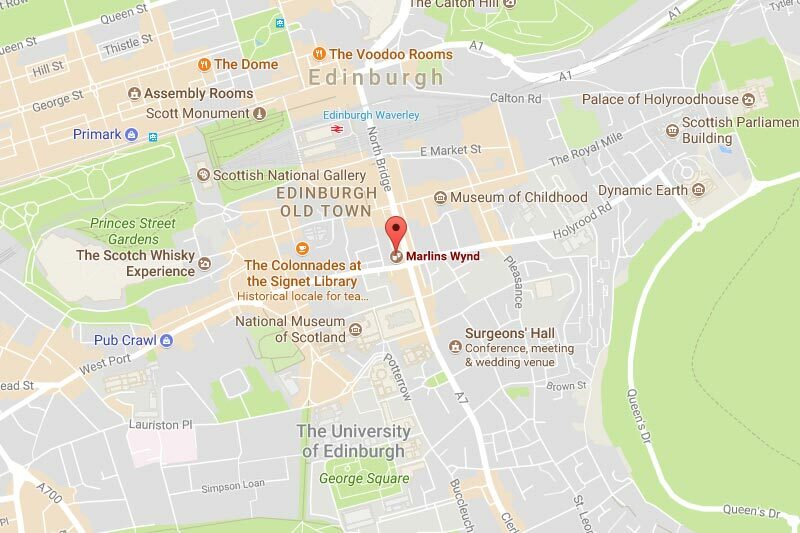 With Marlins Wynd located on Blair Street, minutes from the Royal Mile and Edinburgh Castle. One downside to such a central location is that on street parking is very limited. However there is an NCP long stay carpark just of Holyrood Road, which can be walked from in less than 10 minutes. And although the streets are narrow, large vehicle access is possible if you would like to put on coach transportation for your guests. 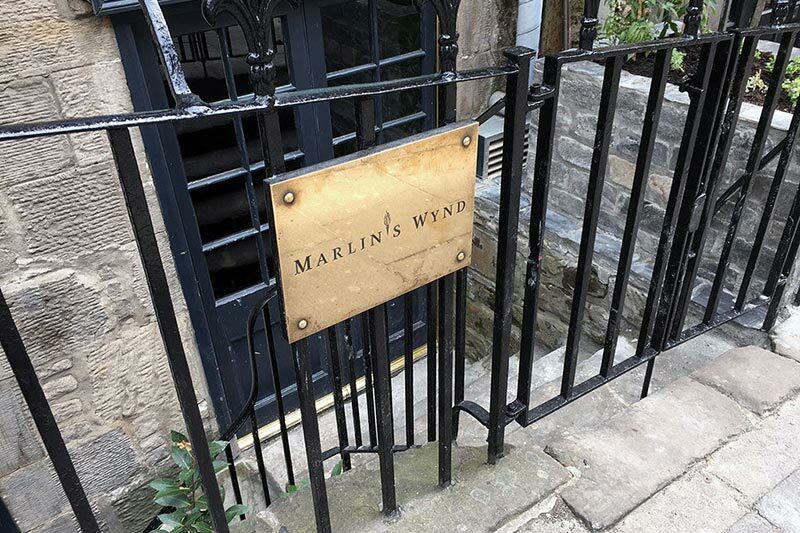 Like all of the Unusual Venues of Edinburgh properties, Marlins Wynd is an exclusive use wedding venue. So you will get the entire place to yourself, giving you maximum privacy in a very busy part of Edinburgh. Your guests will be able to enjoy all the excitement of the Old Town as they arrive. And once inside the enchanting Georgian reception room will lead them down into the genuinely unique Vaults. It’s an experience they are unlikely to have had before, and definitely the place for a wedding with a difference. 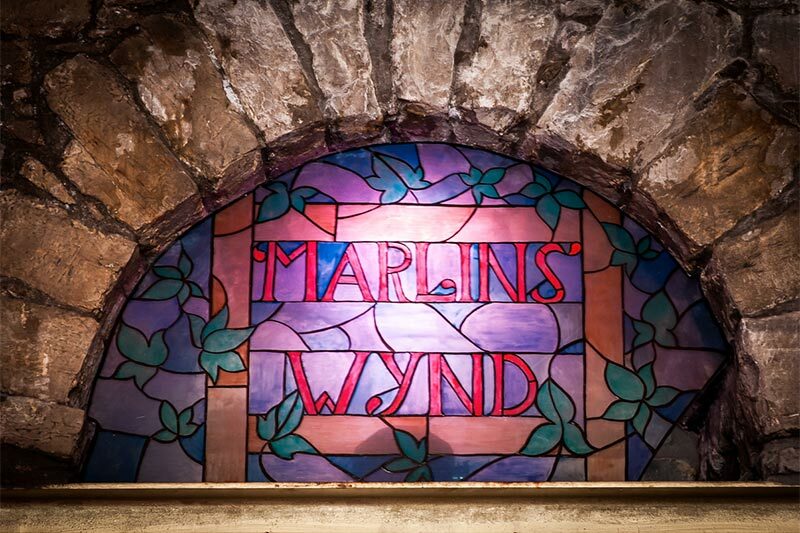 What makes Marlins Wynd so interesting, is that its different rooms span hundreds of years of Scottish history. The 18th century Georgian reception area is typical of tenements of that era, but then a stone staircase leads down into the vaults which were originally built in the 1540’s. At one point Marlins Wynd would have been here, which was a small lane linking the High Street with Cowgate. You will get access from 11:30am for setting up, however you can drop off small things the day before. Personal items will also need to be removed that evening, although large items can be collected the following day. A dedicated wedding coordinator will also be present until the start of your meal, when the manager will take over. 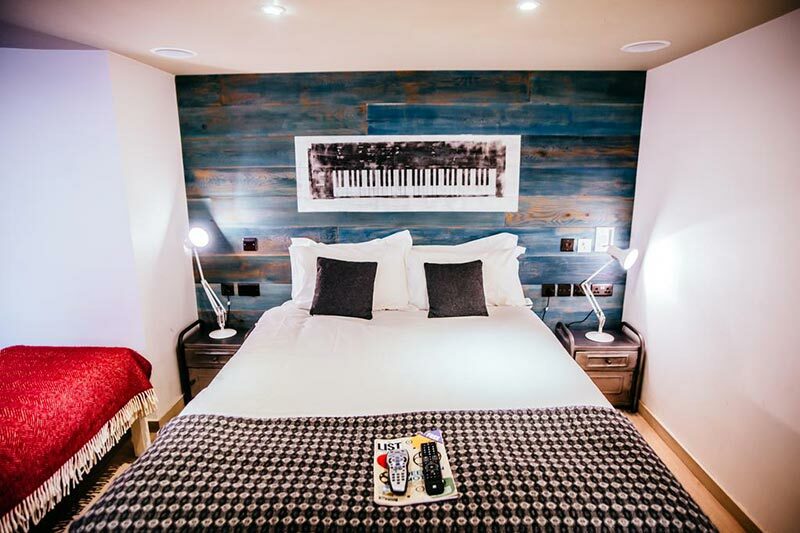 As you can imagine there is no onsite accommodation available at Marlins Wynd. However there will be no shortage of options in Edinburgh, unless you are getting married during the Fringe. You may also be able to get preferential rates at the Stay Central Hotel, depending on how busy they are. You don’t have to have your ceremony at Marlins Wynd, however if you want to religious, civil, and humanist weddings are all welcome. 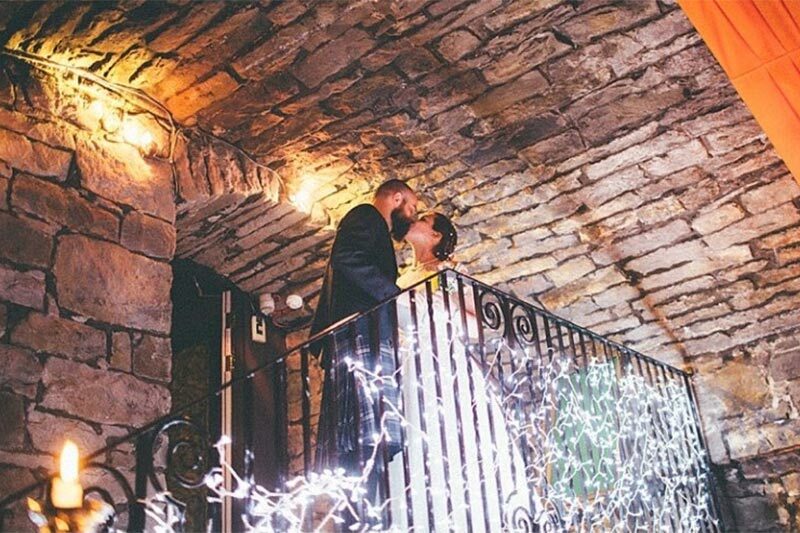 The Main Vault, accessed by the magical staircase decorated with fairy lights, is where your ceremony would take place. With stone walls and flickering candles, it’s a very romantic setting which can seat up to 50 guests. Your drinks reception can be had in the Georgian Reception Room and the Bar Vault. Both of which have a very Scottish Edinburgh Old Town feel to them. 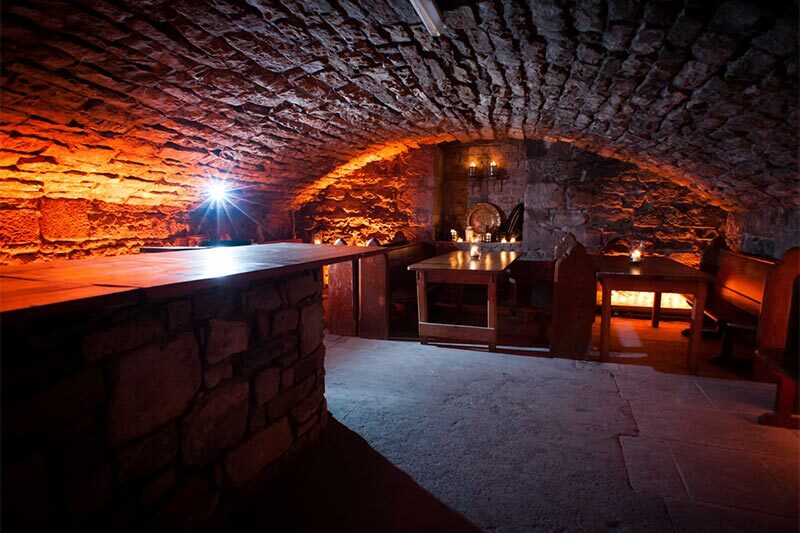 Followed by your dinner reception in the Main Vault, which can seat up to 50 guests comfortably. 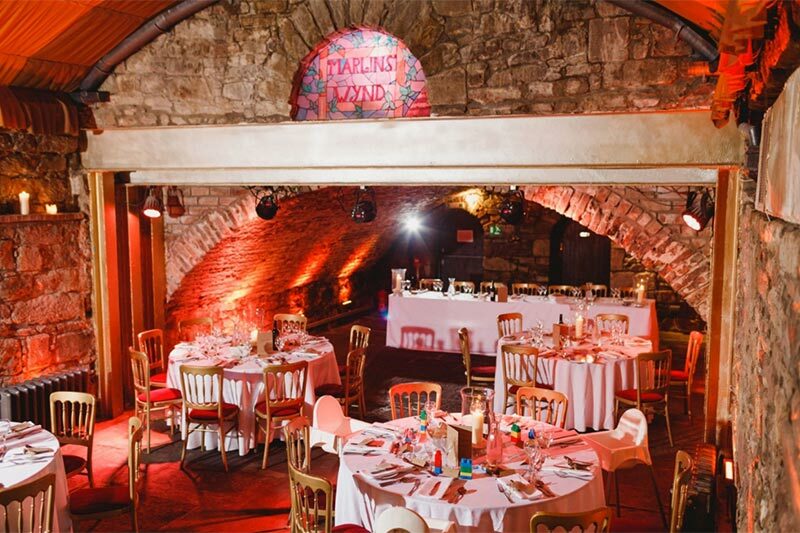 The stone walls and vaulted ceiling create a truly unique atmosphere, and you can choose between all round tables or round tables with a traditional long top table. Included in your wedding package are tables, chairs, linen, crockery, cutlery, and glassware. The catering is handled internally at Marlins Wynd, by their head chef Colin Grieve. Colin has over 20 years experience working at some of Edinburgh’s top restaurant. A large selection of dishes have been created, all using fresh locally sourced ingredients. And there are great options for both vegetarians and children. In terms of the drinks, there’s a fully licensed bar at which your guests can pay by cash and card. There is no corkage option though. Once your meal has finished, the tables and chairs can be moved around transforming the Main Vault into a fantastic dance floor. There is plenty of space for a band, and you can fit as many as 120 guests in. You also won’t need to worry about the celebrations having to end early, as Marlins Wynd has a license until 1am. It may also be possible to extend this for a small fee. One of the downsides of the incredible atmosphere at Marlins Wynd, is the lack of natural light. You will want to choose a wedding photographer who works well with a flash. Fortunately the Royal Mile is only minutes away, which will allow you to take some of your wedding photos using Edinburghs historic buildings as a backdrop. You could even walk up to Edinburgh Castle for some iconic Scottish pictures. For accurate Marlins Wynd wedding prices, you should contact the venue directly. 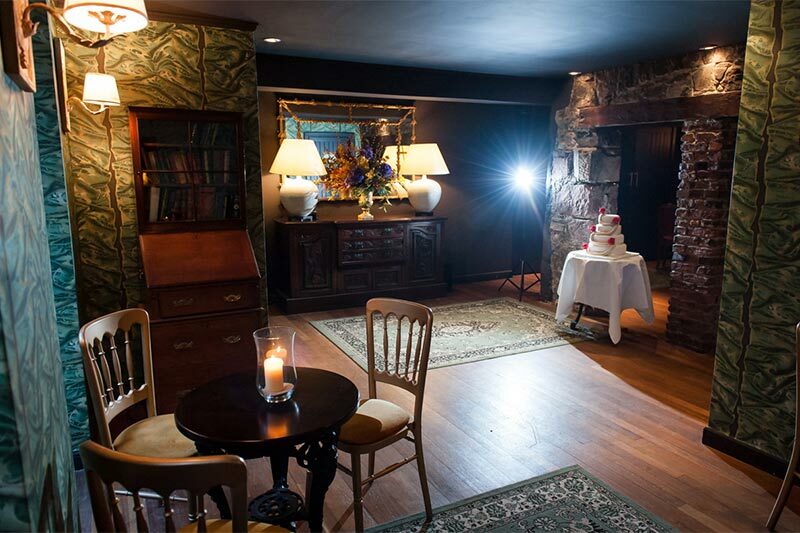 Exclusive use of Marlins Wynd (ceremony & reception), price £1,375 (minimum of 30 guests on weekends). So those are my 10 reasons you should consider Marlins Wynd as your wedding venue. 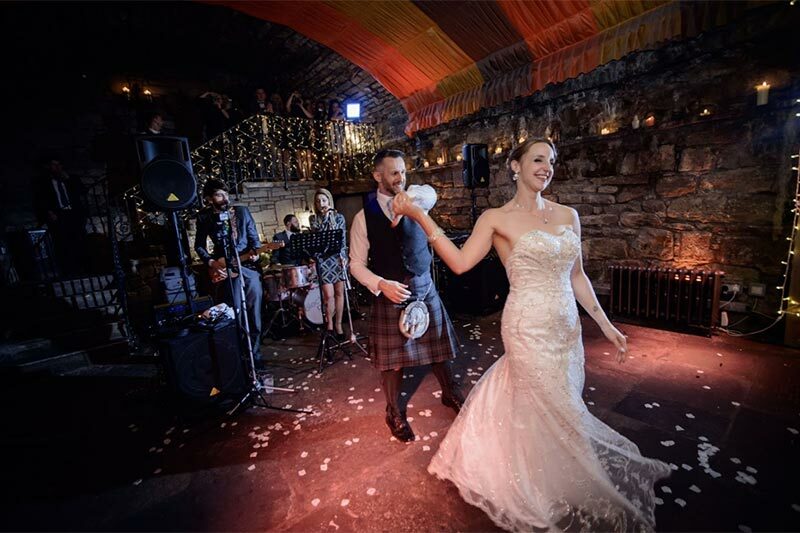 However if you are looking for something genuinely unique, hidden away in Edinburghs Old Town, with unusual ceremony and reception spaces, and first class catering; then Marlins Wynd just might be the place for you. You can also find Marlins Wynd’s website here.